Hola Happy New Year 2015 for everyone! Time flies* and today is the first day of 2015! Flash back and thought last year was quite a good year for me because my blog has huge improvement compare to previous. I must say the beginning of 2014 was quite hard for me because I just started to work and I need to pay all the expenses by my own including rental, utilities, Internet, phone bills, food expenses and toll fees etc. 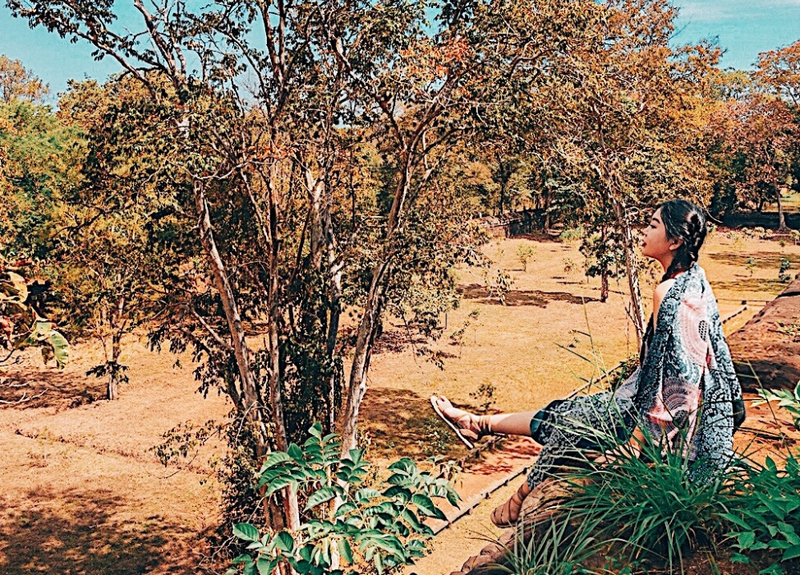 It would quite difficult for a girl who live outside of her hometown and stay alone. Fortunately, I moved out from that place and live with a friend of mine who was a friendly housemate, I guess I'm not alone anymore. =) Hopefully 2015 will be an AWESOME year for me!! Okie dokie, thanks for reading my crap and I shall move on to the main topic. 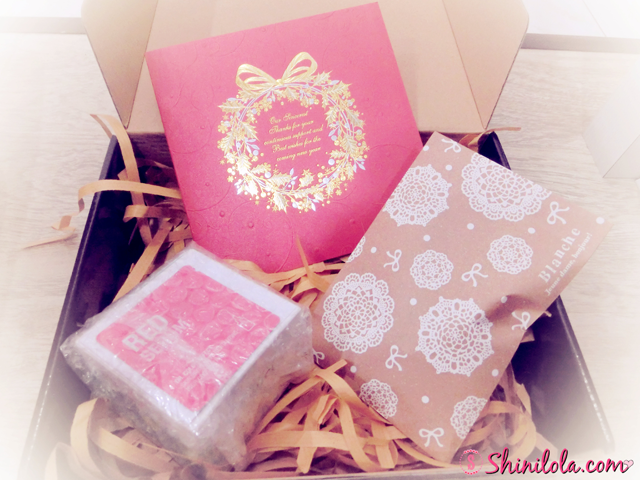 ^_^''' Christmas was just over and right before xmas, I received a beauty box from Natta Cosme! 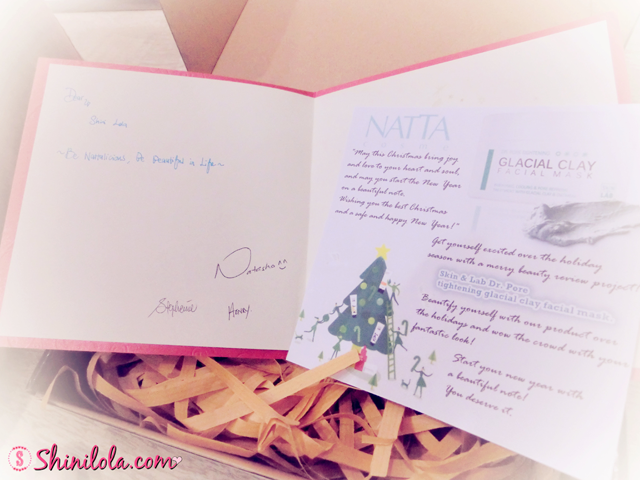 Thanks for the lovely xmas card Natta Cosme! 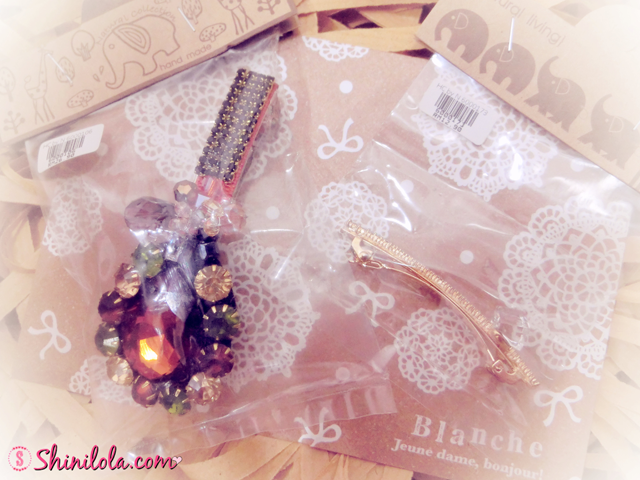 Some lovely hair clips as gifts. 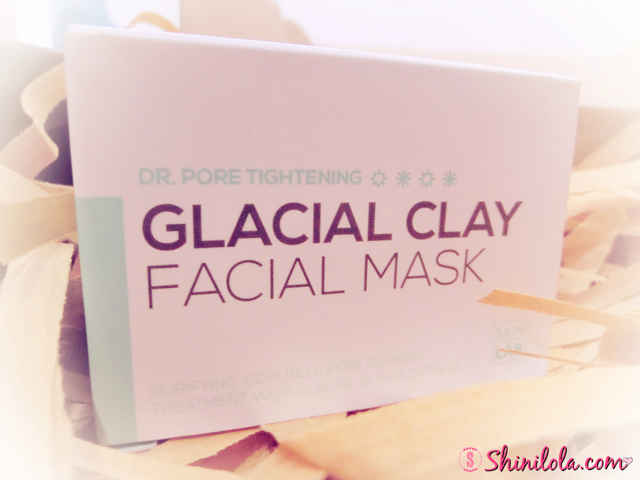 Introducing the Dr.Pore Tightening Glacial Clay Facial Mask from Skin & Lab. 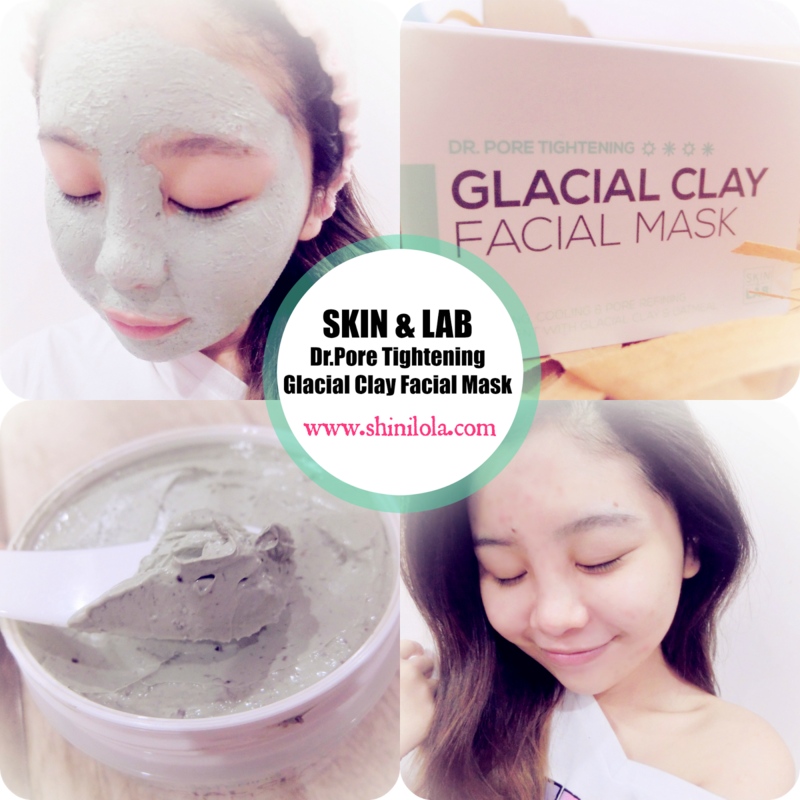 Proven to solve the causes of pores and excess sebum secretion, Glacial Clay Facial Mask purifies the skin in and out, as well as minimizes the enlarged pores and firms the sagging pore walls. 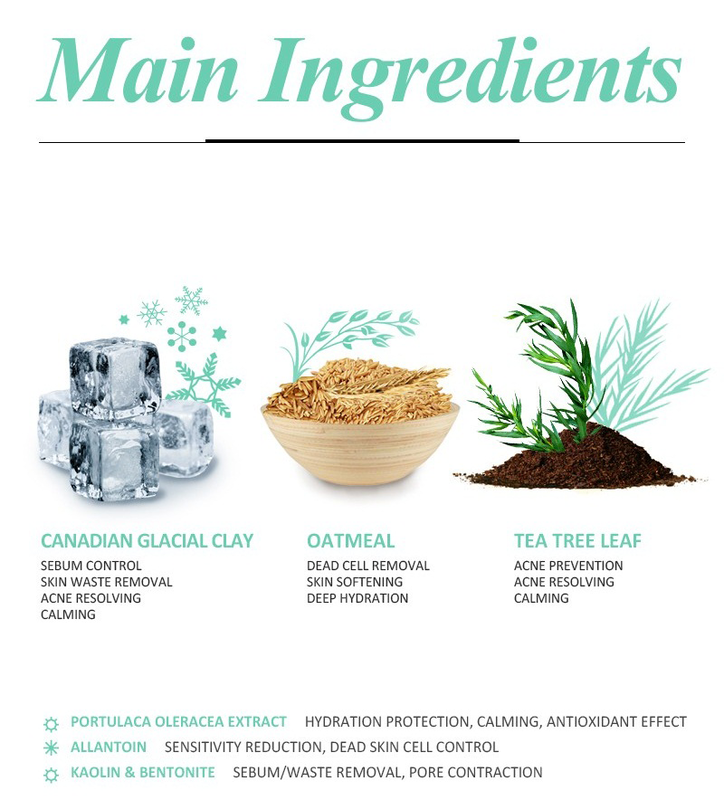 Both the two main ingredients - Glacial clay, removing accumulated impurities deep in pores, and oatmeal, eliminating surface debris and moisturizing. 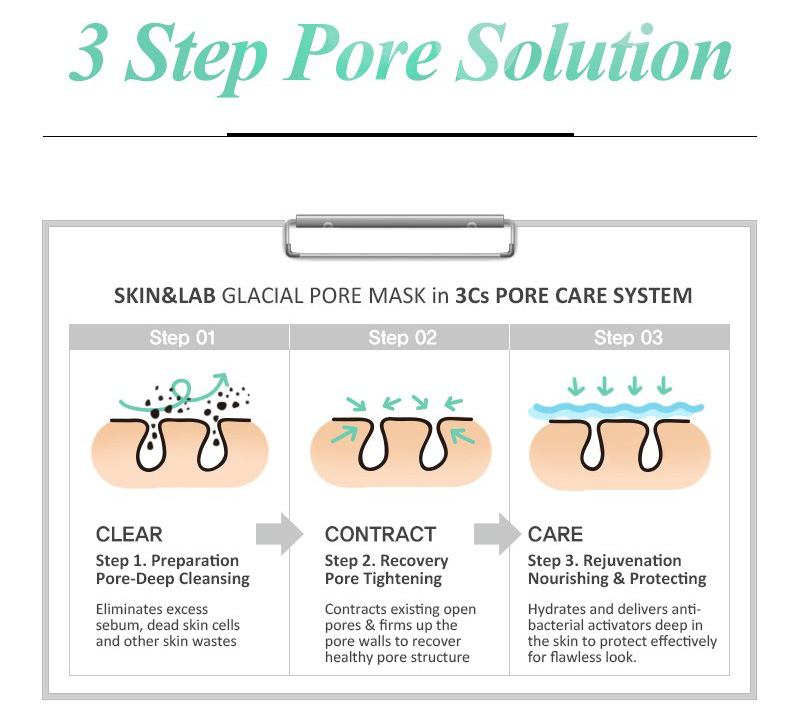 Act together to treat against potential skin problem. 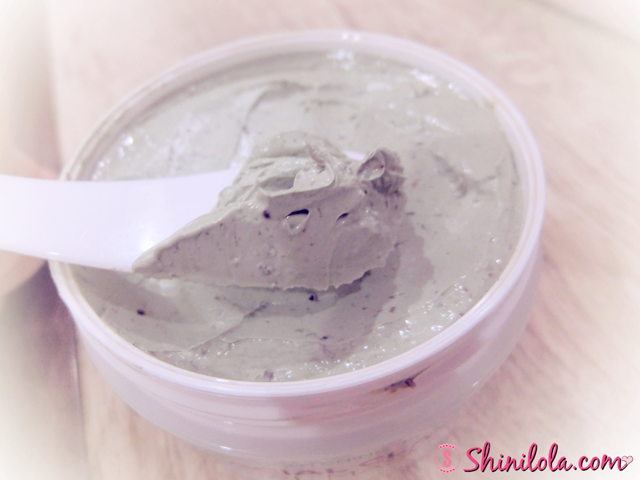 The formula absorbs excess sebum and prevents the appearance of black heads while leaving cooling effect after. 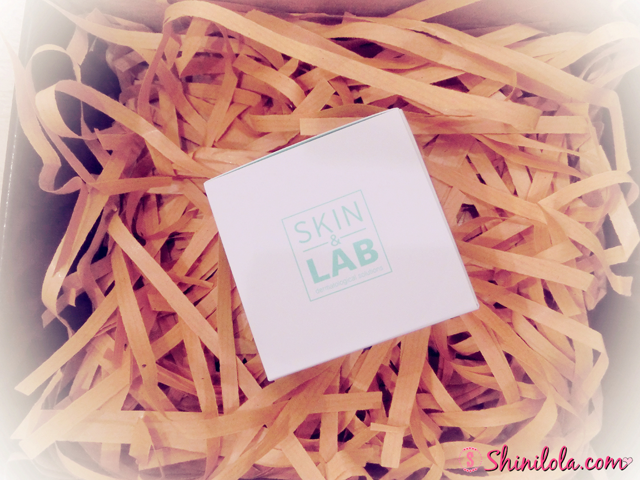 This is not just an instant "cover up" product, without clogging or filling the pores, this silicone free everyday facial mask will promise you long term results for your clearer & firmer skin. Yes, it comes with a spatula as well. Sounds so tempting, let give it a try shall we? So this is how the texture looks like. 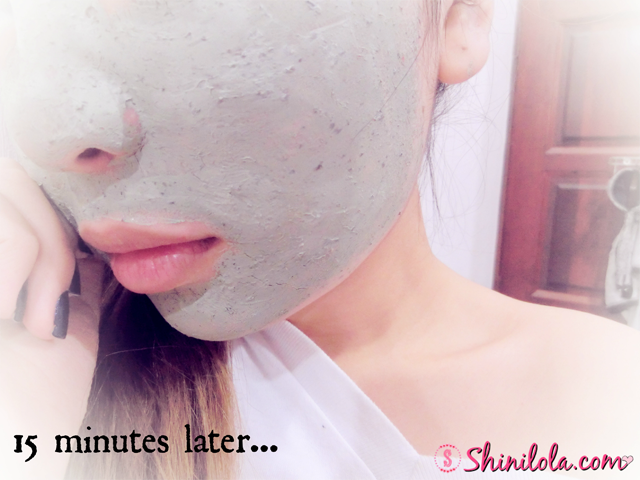 Directions : Apply enough amount of the mask avoiding direct eye area after cleansing. After 10 to 15 minutes, rinse it off gently with warm water. This is how the texture after apply it for 1 minute. This is the 15 minutes later version, as you can see the mask is completely dry and some cracking around my chin area. Ta-da!! My pores consider quite huge especially on the nose area! 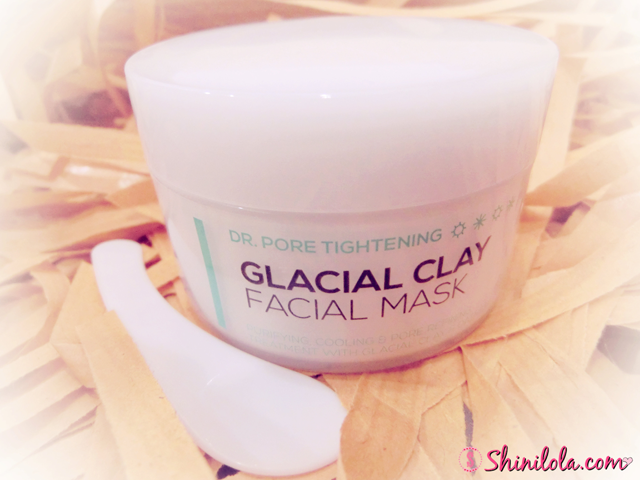 Thank god it becomes smaller and tighten after apply this glacial clay facial mask. Now I no need worry about my big ugly pores anymore! The mask was easy to apply. 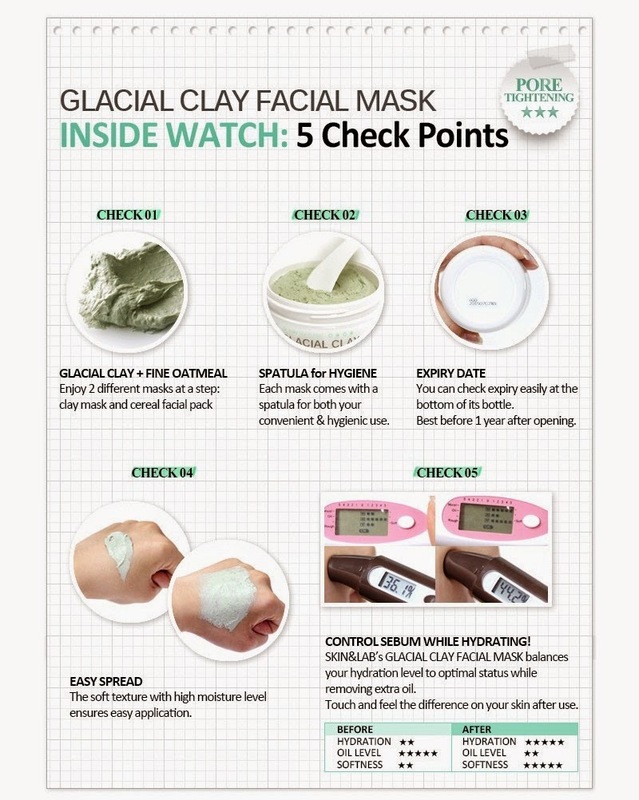 I always prefer this kind of mask instead of piece of facial mask because I knew it will be more effective. Meanwhile, I able to apply evenly on my face with ease. 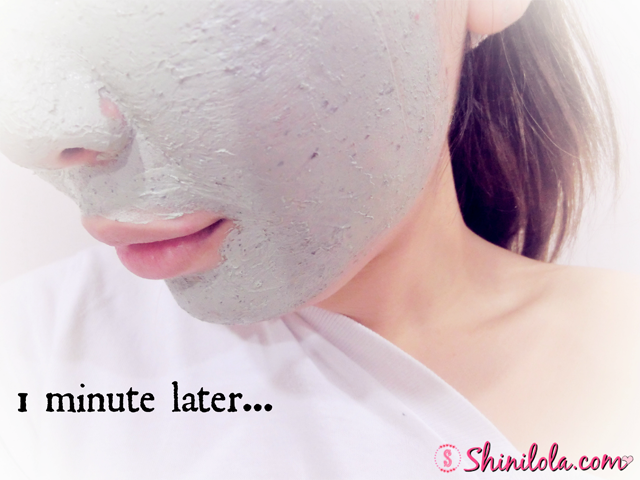 Sometime it quite difficult to apply the mask evenly especially for the jelly or gel texture. You might need to apply more on the T zone. Since it was a mug texture, so I can control the using volume easily. The smell! Frankly, I don't really like it because it smell like seaweed! It would be kinda weird for the smelling because it seem like I'm applying seaweed on my face. >< Other than that, everything was fine for me.